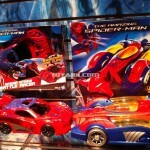 The first images of Amazing Spider-Man toys are coming in from Toy Fair, and this gives us a few decent first looks at some of the product coming to support the upcoming movie. 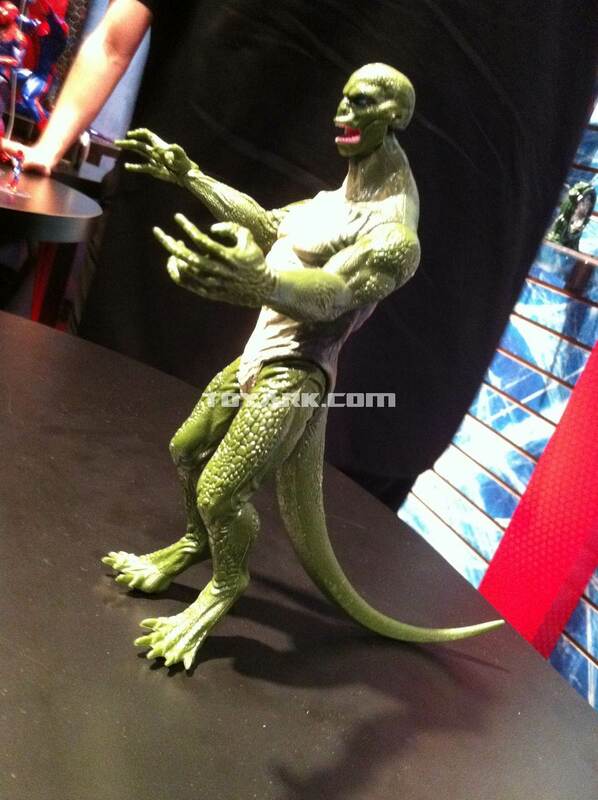 Of note is an image of a Lizard toy, who is the main antagonist of the upcoming film, so now fans will have a better idea of what to expect from the villain. 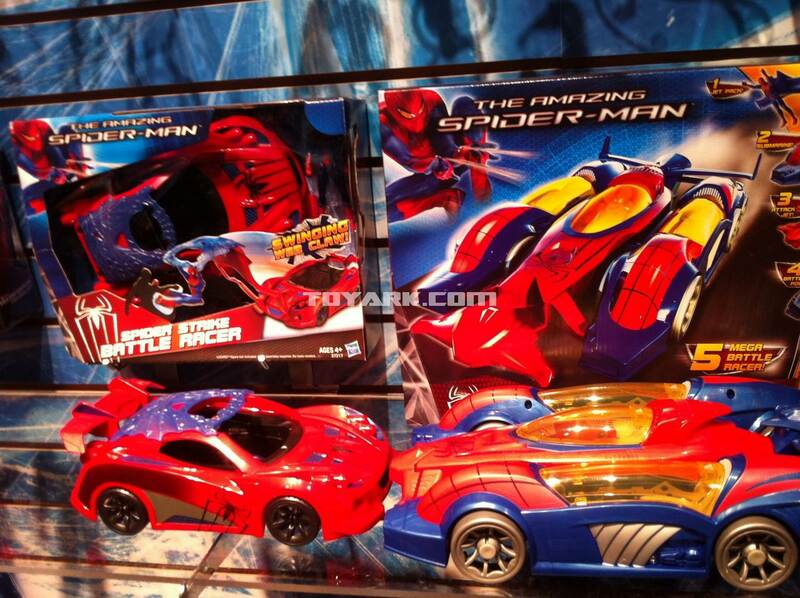 Also of note are other characters like villain fan-favorites Green Goblin and Venom, role play items, and vehicles. Check out more images after the jump, and stay tuned for much more Toy Fair 2012 coverage all weekend long – and be sure to check out Transformers news at TFW2005.com, Thundercats news at Thundercats.ws and G.I. Joe News at HISSTANK.com. Good look at the Lizard. 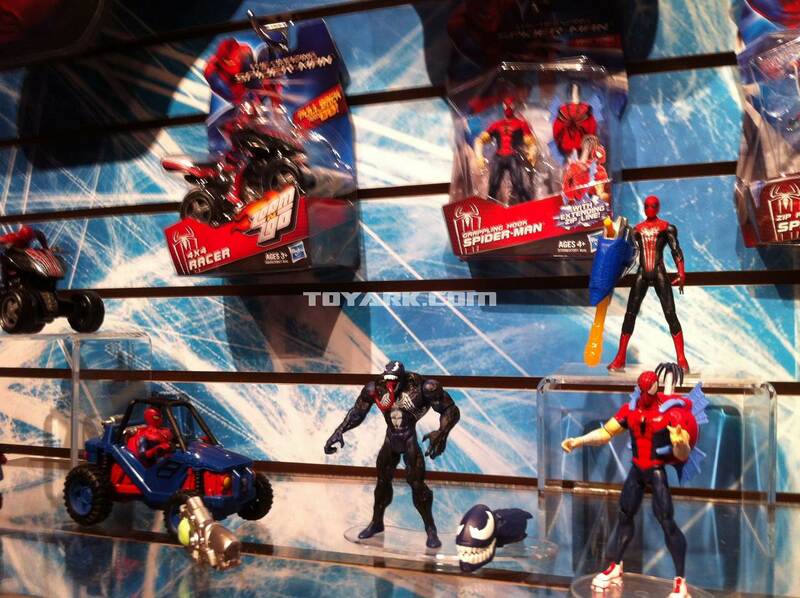 Getting a Venom, Green Goblin, and black suit Spidey. 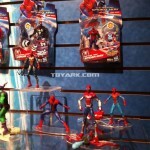 Looks like that super poseable spidey will be the only one I buy from this line so far. 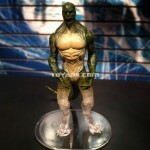 Does anybody know if they are going to be making articulated 6 inch Amazing Spiderman action figures? Those all look good actually. I'm surprised I'm saying that. Venom, Lizard, Gobby, and most of the Spidey suits. Yeah, I refuse to buy T-Cut leg figures. I only make exceptions for that in rare situations like Kilowog and some of the GL Aliens. 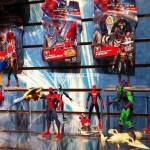 interesting they made a figure of the spidey concept done by alex Ross. All of these really look bad. Do not want. Ugh. 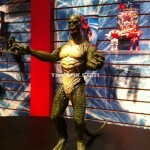 That Lizard makes the movie look bad. Where's the Alligator-face? AWFUL. 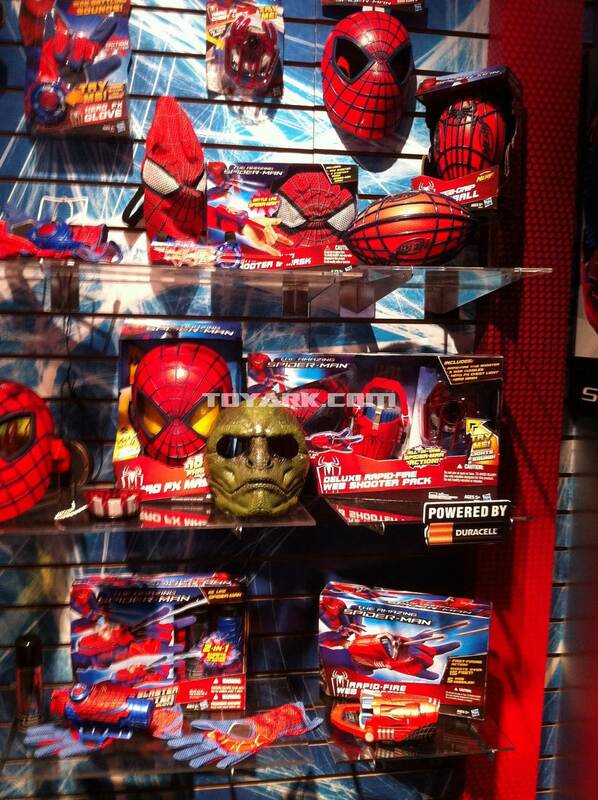 I didn't see many of these I'd like until I started to look closely at the Spidey costumes. Anyone else notice the Manga Spidey in the Grappling Line package? 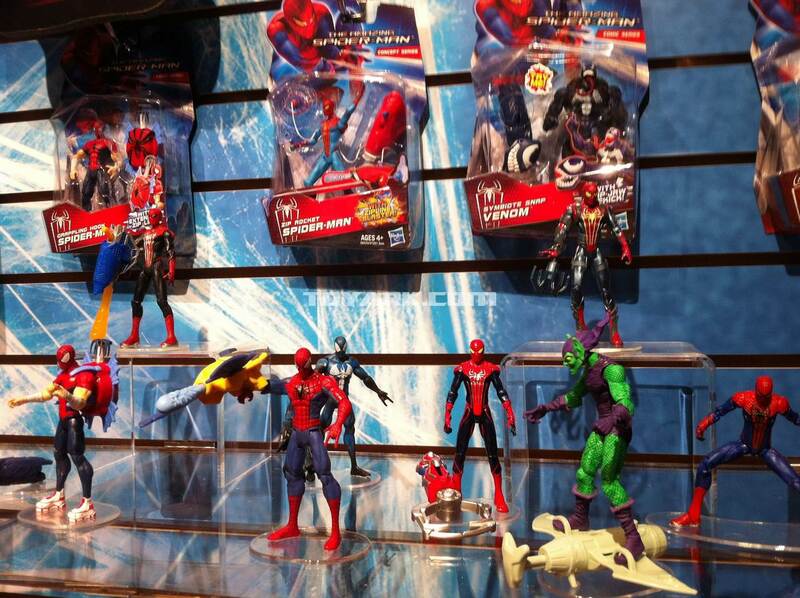 I want the Venom and Green Goblin because I can't get them in the UK anymore and that aticulated Spidey looks good. 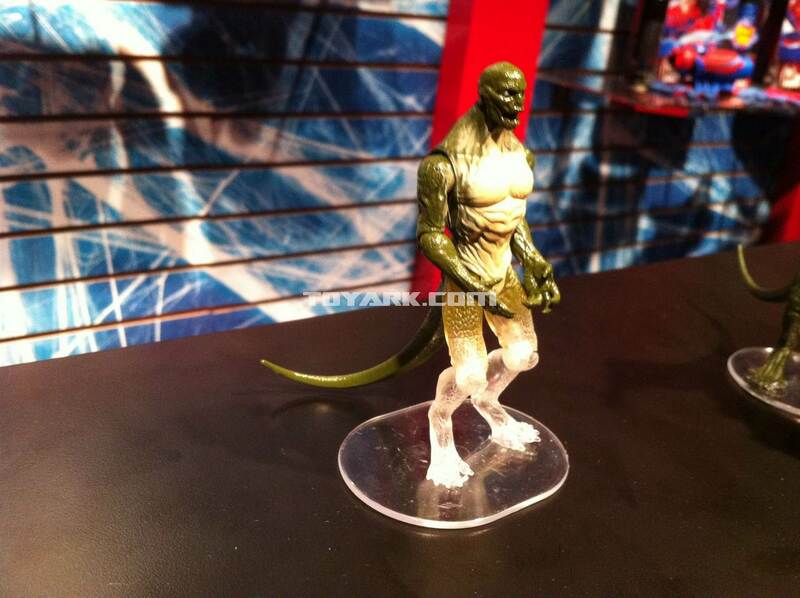 Alex Ross Spidey looks okay but ariculation looks crap. 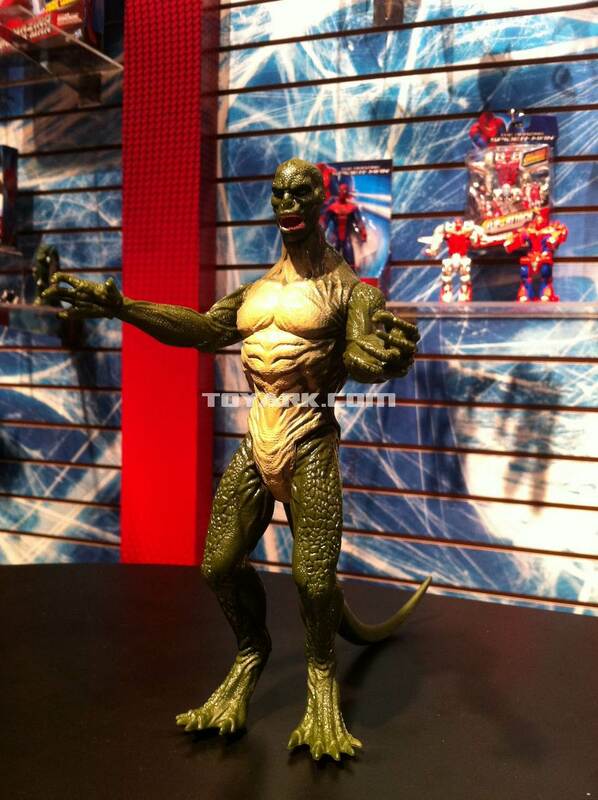 Movie lizard looks like Lord Voldemort, and the play mask looks like a salurian. Not liking the movie look at all, was hoping for something more comic accurate after the yellow and blue x-men in first class. Oh well, I'll just keep dreaming. Those all look good actually..
All of these really look bad. Haha. Well there you go. Looks like a fun line. I'm hoping to see a little more in the way of comic figures for villains and such. 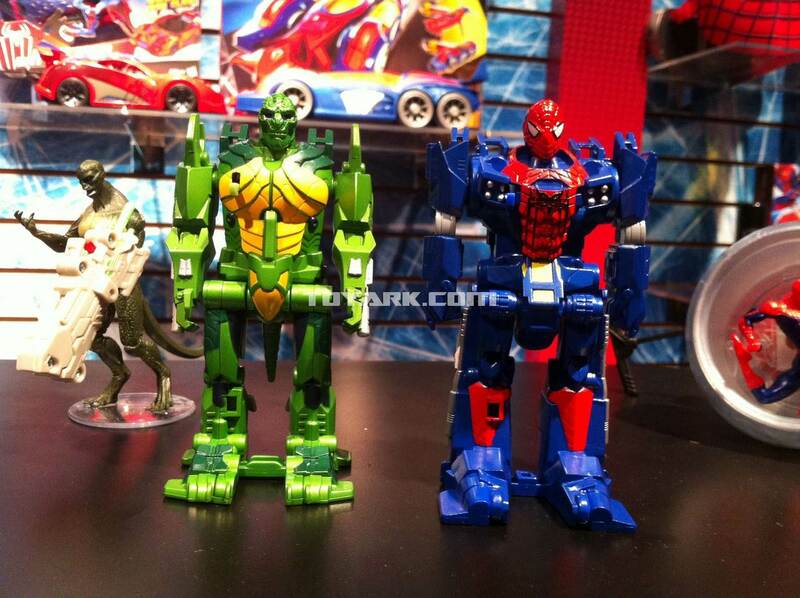 I'll grab the super-poseable Red/Blue and Symbiote one as always... but then again, I've seen what Hasbro liked to call "super-poseable" so I may be in for disappointment. And damn my eyes... darken the red/blue on the movie costume, and I can almost accept that one too. Really hope that Venom has knees. Yup. Noticed that right away. 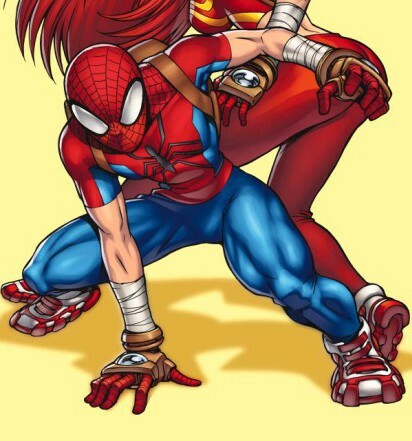 Kinda wish they had made it look younger(shorter) like Manga Spidey should be. 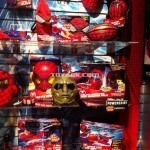 That new Venom head is exceptional! 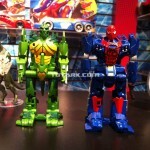 Very cool...that Green Goblin also looks great (not sure about that garbage can he's on though). Really hoping, against all odds, that there's a Gwen Stacey. The world would be such a better place with an Emma Stone action figure. Lol. I'll have a Gwen, sure, but I'm not dreaming of an Emma. 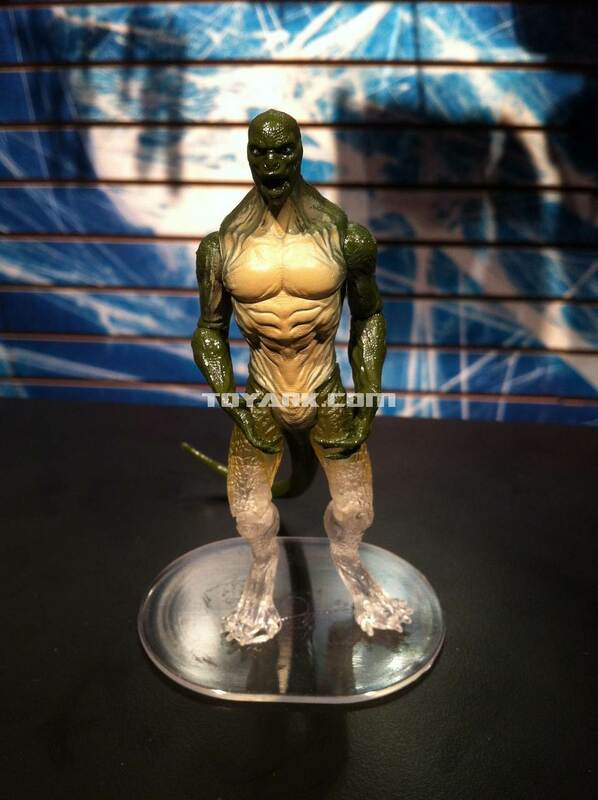 The phasing lizard kinda looks need, but I'm not really sold on the overall design and concept so may hold off, a few of the spidey figures look good but not all and venom doesn;t look spectacular. this is maybe an odd item or 2 for me, which is great for my wallet. 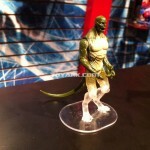 Mulit-jointed Spider-man looks nice, as does the sculpt on the phasing Lizard. 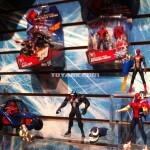 New Amazing Spider-man toys....Y U NO HAVE BALL JOINTED HIPS??!! 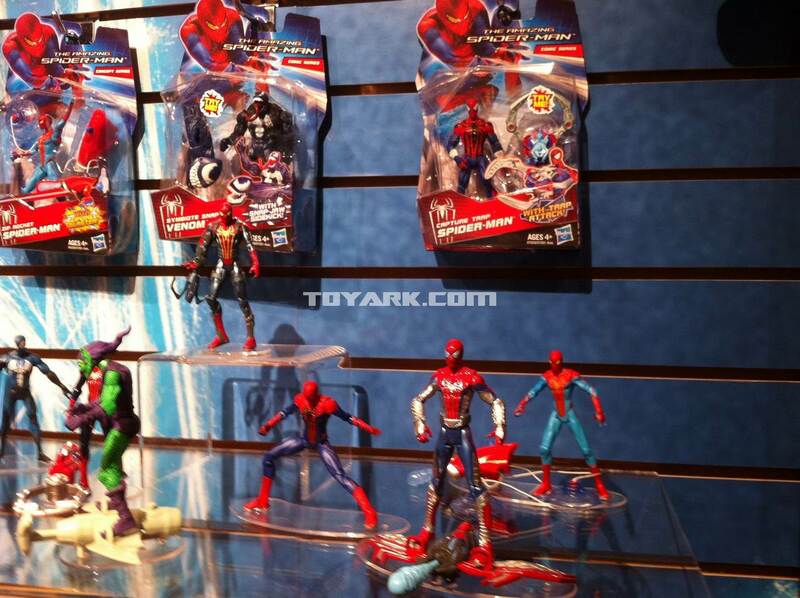 the only thing I'll be getting is the super pose-able spidey, thats it. ha! more like the mediocre spider-man if you ask em. 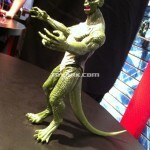 wow...how utterly pathetic....going back to t-crotches hasbro?! what the f*^k...why?!! and whos willignto bet these piece sof sh^t will be 9.99 or something?! 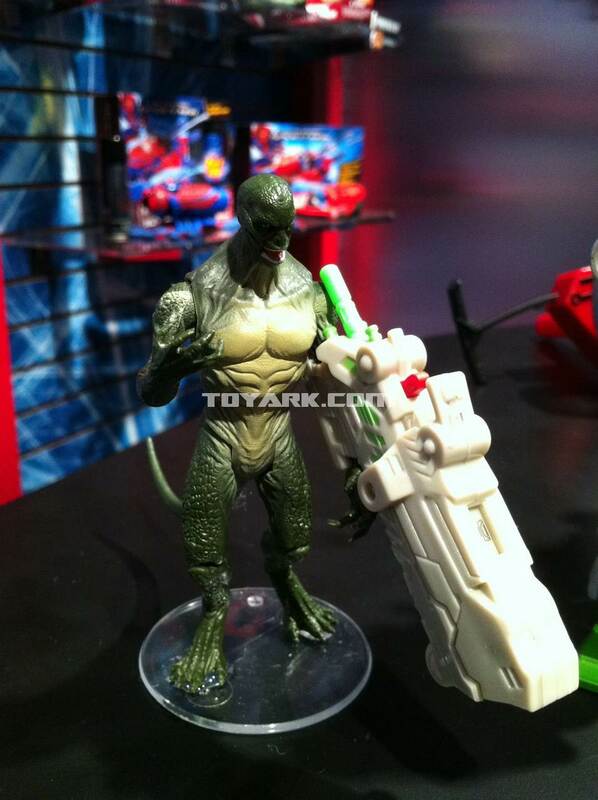 man the toy industry is taking a dive into the ol' porcelin throne lately aint it.